A hundred years ago, a crisis engulfed thousands of vulnerable Jewish women from Eastern Europe. Lured by false promises, they arrived in America and found themselves the victims of human traffickers who forced them to work as prostitutes. The National Council of Jewish Women fought tirelessly against this so-called “white slavery” and worked with immigration officials to meet single women who arrived at Ellis Island or Angel Island, taking them to shelters and helping them find jobs. 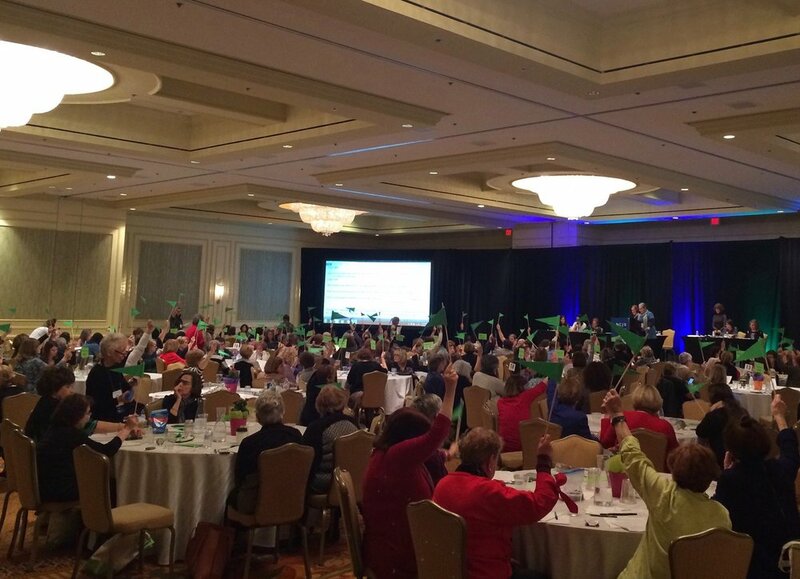 Now, in the 21st century, the National Council of Jewish Women is still fighting human trafficking. The San Francisco chapter coordinates and staffs both the Jewish Coalition to End Human Trafficking and the San Francisco Collaborative Against Human Trafficking. At a ceremony on May 13, 2016, Board President, Dena Gardi and VP, Linda Kurtz were presented with the special award to NCJW San Francisco for the creation of CASA's (Court Appointed Special Advocates) San Francisco chapter. On March 14, 2016 at NCJW Washington Institute in DC our section was presented with the prestigious Champion for Social Change Award. 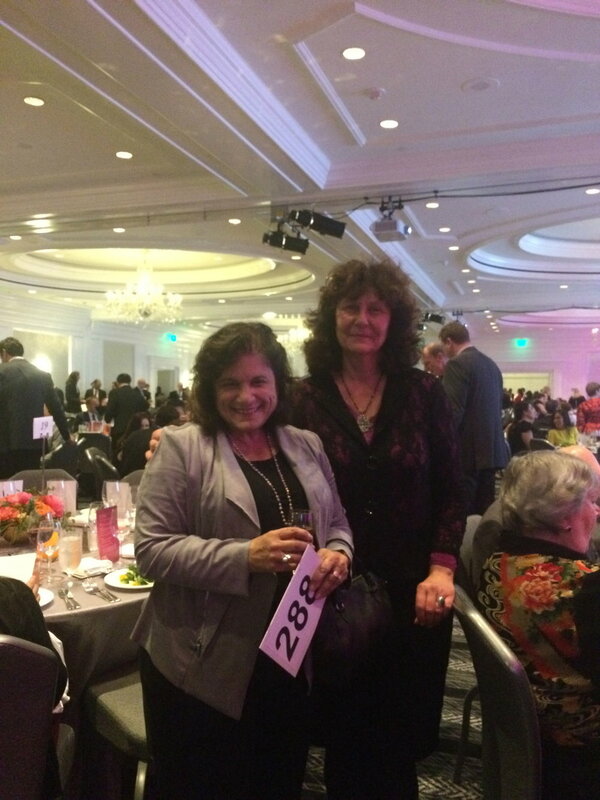 NCJW San Francisco President, Dena Gardi and Executive Director, Antonia Lavine, received the award. We were honored together with all California sections of NCJW for our work on human trafficking prevention through the implementation of the NCJW co-sponsored SB 1193, a law which helps victims and survivors access protection and service. Congratulations to all members of our excellent anti-trafficking team for the high recognition of their achievements in combating modern-day slavery! Order your free copy of our history book! "The Story of NCJW San Francisco Section: 115 Years of Courage, Compassion, and Community Service"
If you wish the book shipped to you, please fill out the form below and donate $10 to help offset the costs for delivery. Donations over this amount are welcome! You can also pick up a copy of the book at our office at 2000 Van Ness Avenue, Suite 411. To schedule a pick up, please call the office at (415) 346-4600. 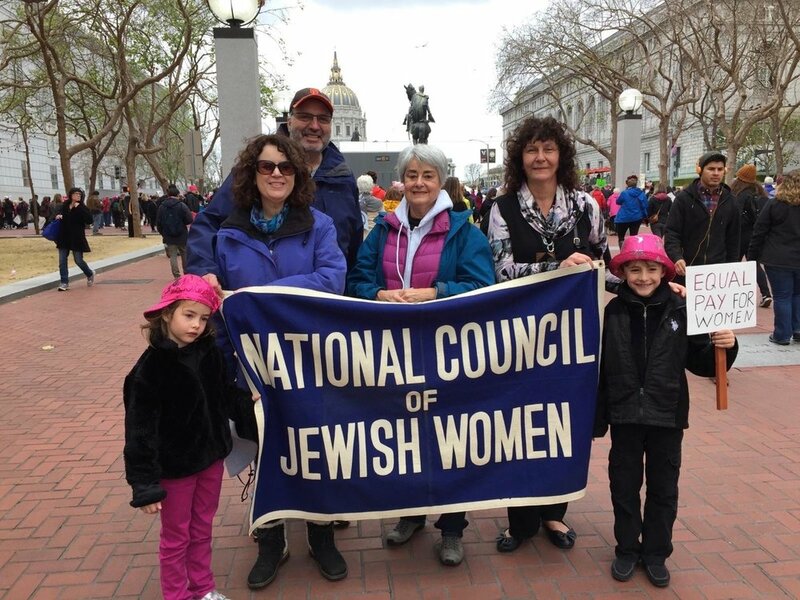 Thank you for ordering your copy of the National Council of Jewish Women-San Francisco Section's history book!